Each of these little items has made the quilt become that much more memorable and personal. Check out the pictures and stories below! 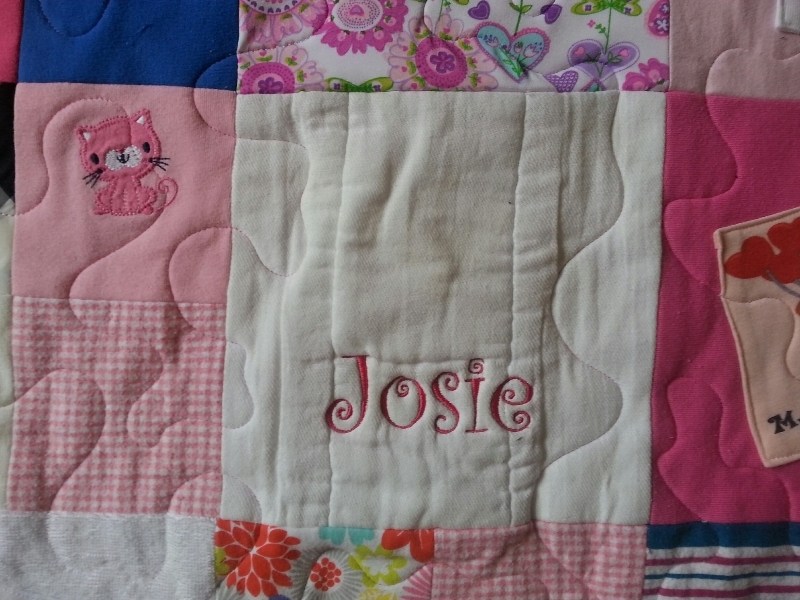 This month I have selected a custom twin size baby quilt made in the Modern style as Quilt of the Month. Read on for more about this stunning quilt! Currently I have 21 quilts on my schedule. I have twelve orders for the holidays! If you are interested in a Memory Quilt for the holidays, or for any occasion, NOW is the time to order! Once November comes I will no longer be able to guarantee holiday delivery. I selected this twin size baby quilt made in the Modern style because it is the first of its kind;) It was made for Josie, the adorable baby shown below on the left. 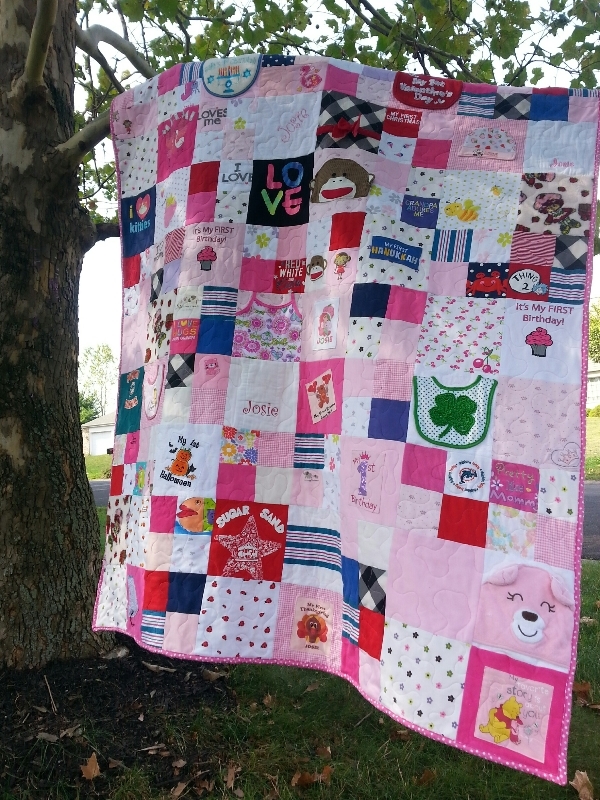 An enormous amount of labor went into making this quilt for Josie! It measures 64" wide by 84" long and is perfect for her new twin bed. So many memorable baby items are in these quilts. Check out the old style cloth diapers that are used as burp cloths! One even has Josie's name embroidered on it. Notice how small the blocks are. Twenty three items were appliqued onto this quilt: a monkey hat, little bibs, bath blankets, even a little bathing suit! 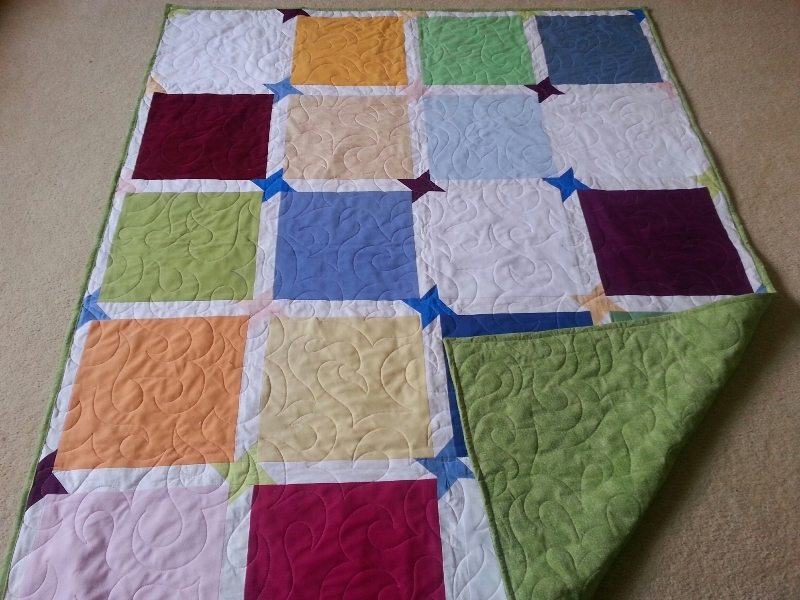 Over 75 items were used to make this one-of-a-kind baby quilt! I am currently working on Sadie's twin size baby quilt! The many little items in these quilts are so wonderful! Look closely and you will see a holiday dress, receiving blankets, many onsies, and even the hospital receiving blanket! This lap quilt made in the Modern style has so many unique and wonderful items in it! It was made for Christopher. His mother has been saving some of these items since he was born! 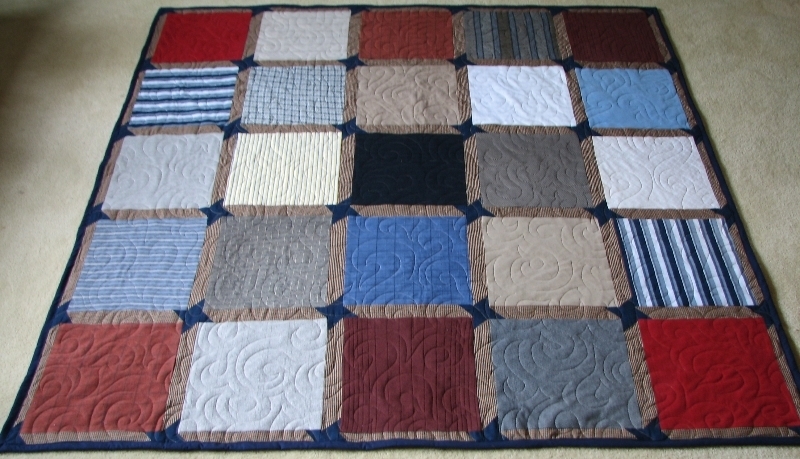 The slate gray block at the top of the quilt was made from the scrub that was worn when Christopher was born! His Baptismal cap and little outfit are sprinkled throughout his quilt. His Confirmation banner made out of felt was also included! So too is his Quinnipiac graduation sash and his red high school graduation gown. Kudos to his mother for keeping so many of these precious items! This was Christopher's Confirmation Banner that was made at the time of his Confirmation in the Catholic Church. What a precious memory of a very important time in Christopher's life. This cap was worn at Christopher's Baptism. It is made out of satin. So is the gown that he wore. The gown is sprinkled throughout the quilt. These two items really make this quilt extra special. The above picture to the left shows the gorgeous long arm quilting and the beautiful variegated thread that my quilts contain. This block contains Christopher's graduation gown. It really catches your eye because of the long arm quilting. Long Arm quilting is a must for these quilts! Not only does the stitching look spectacular, the stitching stabilizes the quilt and turns a blanket into a quilt! Beware, many t-shirt quilters do not offer this. Lots of t-shirts were added to this quilt too! Above is Christopher's college shirt from Quinnipiac University. These two Memorial Quilts shown below were made from 20 golf shirts in honor of a husband and father that passed away recently. The golf shirts did not have many logos on them, so the customer and I designed the quilt to highlight the fabric of the shirts without any logos. Colorful sashing and a beautiful long arm swirl stitch were added. The result is two precious family heirlooms! 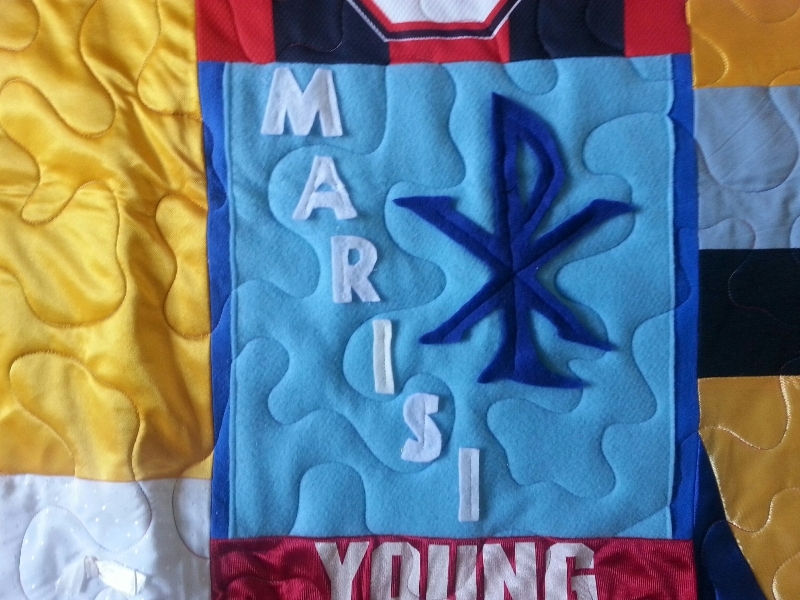 May these quilts bring comfort to those who wrap themselves in these Memorial Quilts. The Long arm Quilting stitch selected for the three quilts shown here really adds to the beauty of these quilts! This stitch takes longer but the results are wonderful! This larger quilt below was made from golf shirts too! Notice the decorative swirl stitch. Hawaiian shirts make people smile! This quilt was sashed in a Hawaiian print. It really makes this lap quilt made in the traditional style stand out! So does the Beverly Hills Hotel block that was made from a robe from that hotel! 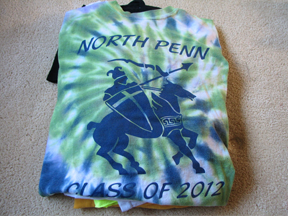 I just love all of the North Penn history in this 20" Memory Pillow. From Walton Farm Elementary School, to Pennfield Middle School (including the flannel pants she made in Family Consumer Science class), to North Penn High School. I even added the tea cup from Devyn's sweet childhood "Beauty and the Beast" cotton bed sheet. What treasured memories she has of her childhood and school years! To make the pillow extra special I backed it using Devyn's baby blanket! This just adds to the personalization of this wonderful keepsake. 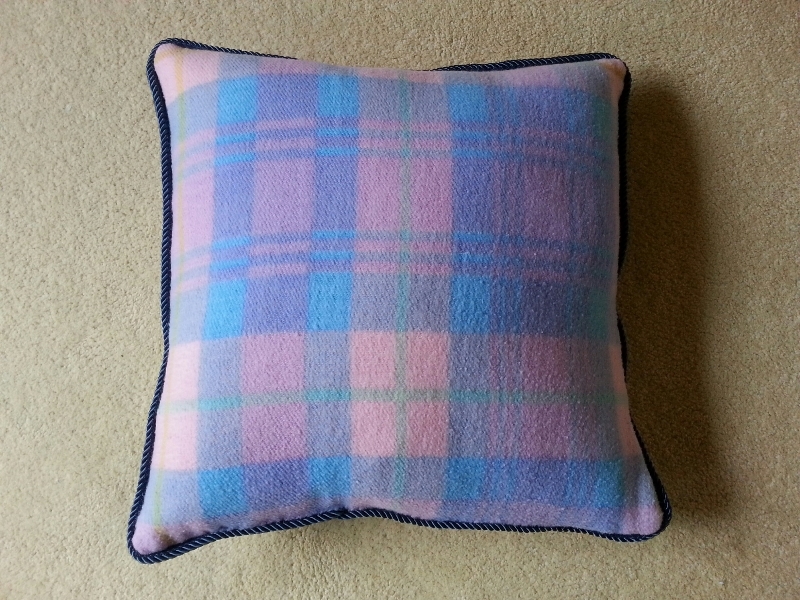 Memory Pillows can be a less expensive alternative to a Memory Quilt. I pride myself on the process of making Memory Quilts here at MQBM. Customers receive roughly 8-10 emails full of pictures, like the ones in this newsletter, once a Memory Quilt is ordered! This process allows you, the customer, to become involved in the design phase and the quilt creation. From garment placement to colors of sashing, backing, and type of fabric used, you the customer always have input. There are no surprises here at MQBM. This process takes extra time but it ensures that you will be satisfied with the end result: a gorgeous family heirloom. This process is enormously beneficial for those having Memorial Quilts made. It allows time to grieve, yet in the end, when the quilt is finished, it is somewhat of a bittersweet time for my customers. I have twelve holiday quilts on my schedule already! If you are interested in a quilt for the holidays please do not delay! 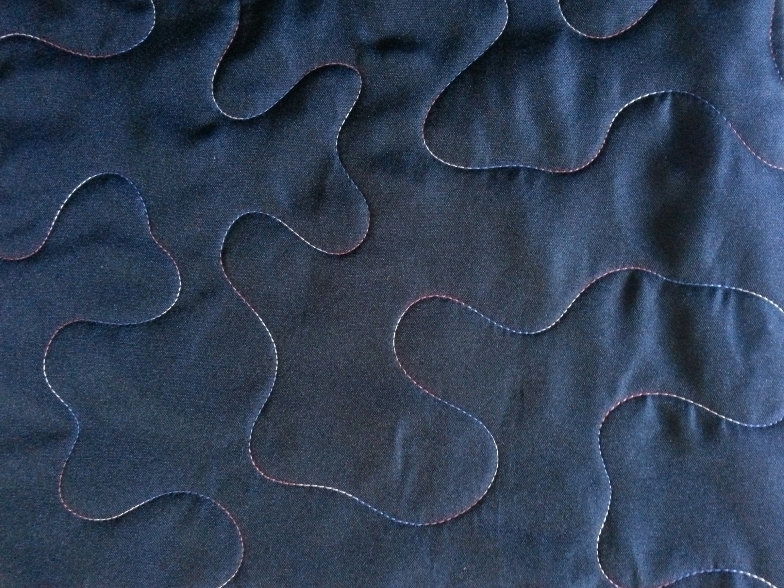 Quilting takes time. NOW is the time to order your custom handmade Memory Quilt!